Just in time to celebrate the release of Rollin’ Stone, CES TV shoots back with episode three featuring Strange Music’s Stevie Stone. 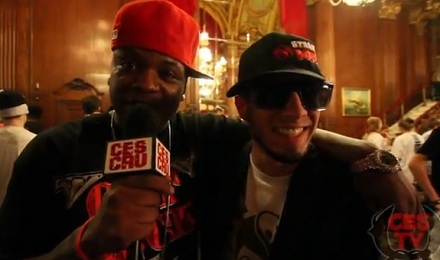 Watch Ubiquitous of CES Cru catch up with Stevie Stone in Kansas City as Strange Music prepares to take off for the Hostile Takeover 2012 Tour. From news of the “808 Bendin” music video to what went into the making of Rollin’ Stone, CES TV was there for the first scoop. Stay tuned for more from CES TV! What did you think of the new episode of CES TV? Who do you want to see on the next episode?